Twenty one days ago the sun was shining. There wasn’t a cloud in the sky as Lewes kicked off against Canvey Island. Twenty four hours later I landed in Los Angeles to temperatures that would have had The Sun trumpeting as “Phew, what a scorcher” and “It’s hotter than Greece”. 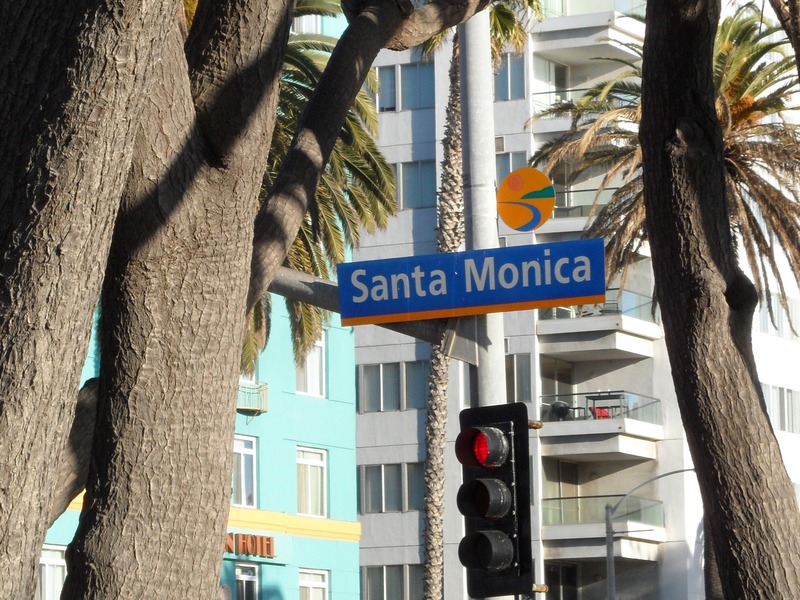 During the next week I worked with the sun shining all day, with my walk to the office along the empty beach in Santa Monica. Bliss, you may say and I would agree. Yet you mortals back in England were suffering freezing temperatures and tonnes of the white stuff. And of course that mean a serious lack of football. Being purely selfish I was glad when the whole country called off their games the following weekend. Lewes’s game at Wingate & Finchley was postponed whilst I travelled east from California to New York. I cheered. Wingate is one of only two grounds I haven’t been to in the league so a re-arranged midweek fixture suited me perfectly. Seven days later and I was back in the UK but the after effects of the coldest February on record in many places in England again decimated the fixture list (and our plans for a game). What did this mean? Well, on the positive side, Lewes had gone unbeaten during February. On the pessimistic side, it would mean their last league win was 7 weeks ago when they beat Hastings United. 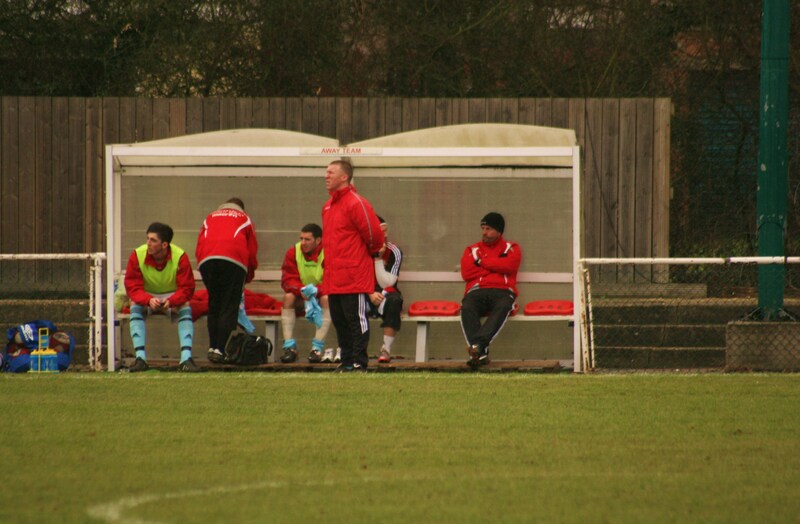 The enforced break had given manager Simon Wormull to assess his squad. Out had gone striker Michael Malcolm, and returning to the club was centre-back and ex-captain Chris Breach. 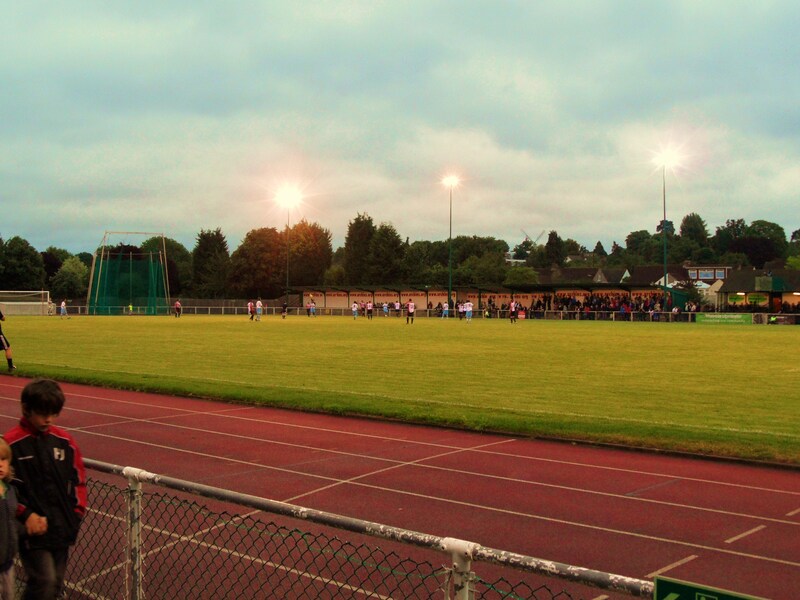 Three good centre-backs may be needed for the visit to AFC Hornchurch. The Urchins were enjoying a good season. They had devastated Lewes earlier in the season, ending The Rooks 100% home record with a four goal second half display. Since then they had topped the league, and despite losing a few games, had hung onto Billericay’s coat tails thanks to their strong, well organised approach play, and a proven non league centre-forward in Martin Tuohy, Golden Boot winner three seasons ago with 50 goals. AFC Hornchurch actually play in Upminster, which is really the starting point of Essex. The drive down the country lanes from the M25 revealed some impressive houses, and the area can boast such residents as Jessie J, Frank Bruno and that girl from S Club 7 (Not Rachel Stevens, or the one that looked like a boy). It also has two windmills. One which is one of the last remaining grade II windmills left in England; the other is a pub outside the tube station. Guess which one we saw today? As we supped our fine Essex Ales (Peroni, Strongbow and Tetley’s), the team news came through. AFC Hornchurch were fielding their two new players – Ex-Norwich City, Crystal Palace and Peterborough United striker Leon McKenzie and Fola Orilonishe from Sutton United. 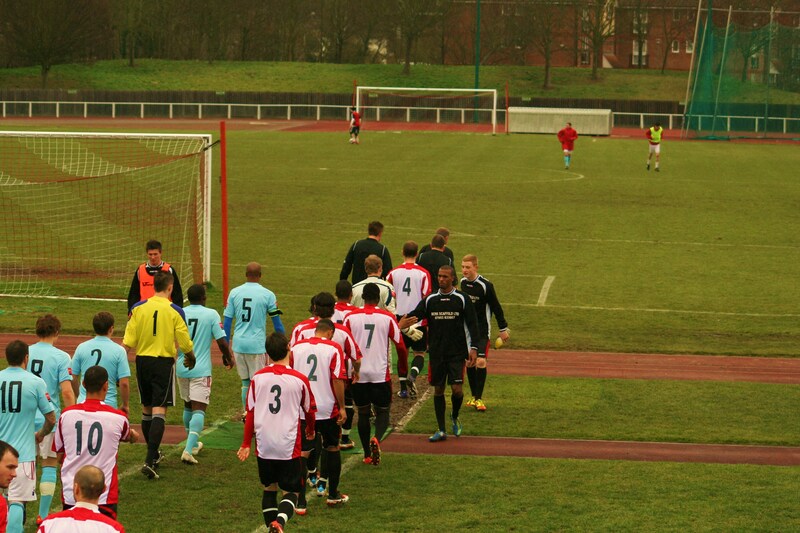 Lewes included signed that morning from the youth team Kelvin Brown as one of the three subs. 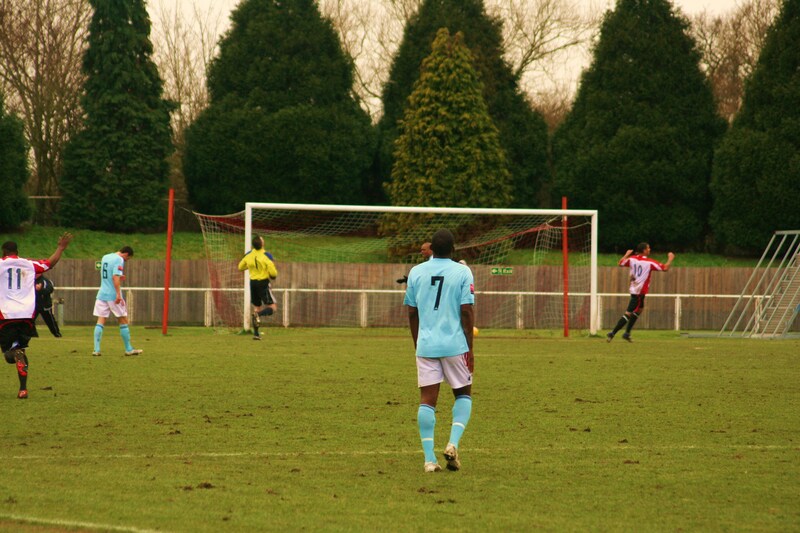 Hornchurch’s ground is a real mixed bag for spectators. Firstly, it is an athletics ground – but not a proper one as it only has six lanes. Unlike Melbourne Park, home of Chelmsford City, there are no big stands where you can watch the game from a bit of a height, nor is there any temporary stands behind either goal. This means the views from the small stands around the pitch are poor. However, they have an excellent bar area behind one goal that is set high above the pitch, meaning you can watch the whole game from inside the bar, or on a nice sunny day from the terrace outside. As with all away games this season, Lewes arrive bearing gifts. A pretty impressive gift if you ask me as well. Seventy two pints of FREE BEER in the form of a polypin from Harvey’s, known globally as the world’s greatest beer. Within minutes of the beer arriving the away fans (and officials) will be queuing at the bar to get their pint of local luxury. The clubs can charge what they want for the beer (although few seem to grasp the whole point of the exercise and faced with an opportunity to earn 100% profit, still overcharge). We arrived in the bar at The Stadium and became one of many to ask for a Harveys. “We haven’t put it on yet”…after the twentieth person came and asked they eventually obliged, although the barman who took the first pint screwed his face up and threw most of his drink away – a fine endorsement indeed. Hornchurch also have a satellite feed from overseas. Based on the adverts I deduced it was Albanian. Whilst people crowded round to watch the Chelsea v Birmingham City game (which was on UK TV anyway) they were showing Everton v Blackpool at 3pm, which was watched by no-one. And here lies one of the points why it is a bit of a non-issue. As the teams emerged from the dressing rooms and down the steps onto the pitch, the rain started falling. Hornchurch’s pitch had not endured the past few weeks well, and up until Friday were still not 100% confident this game would go ahead. Big Deaksy chastised me after my post-match comments when I said we battled well but ultimately fell short. He suggested this was the corporate line. He is of course right to an extent. It was a crap game, played in crap conditions, on a pitch that helped neither team which eventually had a big hand in deciding the result. Illness had robbed Lewes of Chris Breach, and Wormull attempted to fit square pegs in round holes, with Nanetti playing just behind Paul Booth. But there was little they could do about the strong wind blowing down the pitch that saw the ball by-pass the midfield in the opening exchanges. The home side made the best of the early running, and Lewes keeper Pawel Szelemj was the busier of the two but was rarely troubled although Hornchurch did have a good shout for a penalty when Tuohy was sent crashing in the area. Perhaps the referee, aware of the two soft penalties given for the Urchins in the reverse fixture earlier in the season was trying to even it all up! On the half hour mark came the deciding moment of the game. Hustwick underhit a back pass to Pawel and the heavy ground slowed the ball up further, allowing the predatory Tuohy to anticipate the roll of the ball and he nipped in, rounded Pawel and slotted home into an empty net from an acute angle. During half time the heavy rain upgraded itself to a monsoon. Consequently around a third of the 298 fans in the ground stayed in the bar, watching the game from our own large Executive Box. The tail wind was now blowing towards the Hornchurch goal and Lewes started to create some chances. Harry Harding, fresh from his two weeks at Fulham, started to dominate proceedings and Booth had a couple of half chances. But the Hornchurch keeper was rarely called into action – in fact it was still Pawel who had to make the saves from the likes of Tuohy and Thompson. Lewes’s fight boiled over during the second half on one occasion when Jack Walder’s tackle on McKenzie started a mini-difference of opinion and the Lewes youngster could count himself a bit lucky to stay on the pitch. The final whistle was greeted with some relief by the home fans – a 1-0 win is never comfortable whilst Lewes can take some heart by the performances of the back four, especially Charlie Leach who showed maturity well beyond his young years. The next few weeks will prove a massive test for the team. Two games against the most in-form team in the league start the run of games. East Thurrock United have strengthened their squad thanks to the money they earnt in their FA Cup run to the televised first round game versus Macclesfield Town, and Lewes visit them first on Tuesday in the Ryman League Cup semi-final, before they come down to Sussex on Saturday. After that the Rooks have games against four of the top six in March. New players are on the horizon and the play-offs are still only a few points away, but it will need something extra to spark the team back into life. The watching world (in BN7) turns to Simon Wormull to see what that will be. This entry was posted in Lewes FC, Non league football, Rymans Premier and tagged AFC Hornchurch, Lewes, Ryman Premier League. Bookmark the permalink. Gamesmanship, tactical genius or just economics?